After forty kilometers from the campsite, le “Château de Kerjean”, Castle Kerjean near St. Vougeay welcomes you. While on holiday in Finistère, do not miss this great day out in St. Vougeay. He is the witness of the good times has crossed the country of Leon in the sixteenth century thanks to the flax production which enabled the development of the cloth trade to provide the sails of the boats. The province then traded with all Europe through the port of Roscoff, Morlaix and Landerneau. It is in this context that the Wealthy Barber family erected instead of a modest manor, a fortress to Renaissance paces. But its layout makes for entertaining and enjoyment, Castle Kerjean is not less a defensive army instead of any military architecture: an enclosure with walls flanked by four bastions protect a ready embankment to host an artillery platform where access is via a stone bridge decorated with a double door. Then follow one another more residents who enjoy the splendor of the castle became marquisate under Louis XIII. During the revolution, it was confiscated by the nation and became a garrison before being sold to the family Brihac dismantles partly to sell its materials. Two other owners keep the castle in the state until the state bought it in 1911. 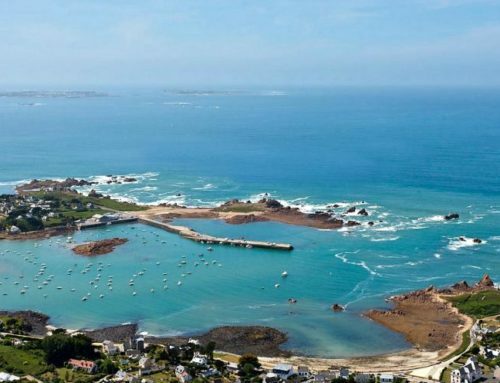 Since 1985, it and the General Council of Finistère which occupies the while that its restoration was completed in 2005. On a 19-hectare park, one can admire a monumental dovecote 9 m in diameter, colossal stone columns justice because the lord could exercise justice on his land up to the death penalty by hanging. In the courtyard a well in three columns which restores the aesthetics of the Renaissance, magnificent arcades and the chapel. Castle Kerjean part of the course “Heritage Trails of Finistère”. In this logic, it offers permanent and temporary exhibitions and guided tours of the highest quality.